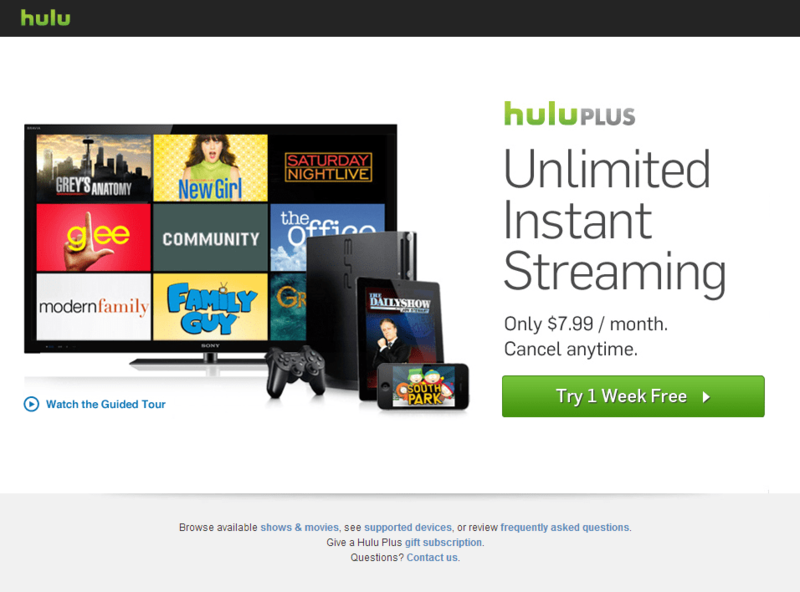 CBS has held out on getting there content on Hulu for a while but announced today they will be adding over 2,600 episodes of CBS shows to Hulu Plus starting in January 2013. This will include new and old shows such as CSI: Miami, Star Trek, I love Lucy, Numb3rs, and The Twilight Zone. They will also add clips from Entertainment Tonight on the day-of broadcast and other shows will rotate though the free Hulu.com service. While I don’t watch much Hulu my wife dose and this should make her happy to have more shows to watch, this deal also won’t affect other deals that are made with Netflix and other streaming services so we won’t lose shows like Star Trek from those services. Now all they need to do is stop thinking that if people watch the shows the next day on Hulu they are losing money on the Cable / Satellite networks, most people who watch content on Hulu / Netflix do it because they don’t have a subscription or want it when they can watch it, it’s one reason people are willing to play for Hulu Plus!